Mobile home parks are residential subdivisions – investor owns the land and property infrastructure (streets, utility connections and common areas) and typically only leases the land to homeowners. High tenant switching costs – it costs $5,000-$10,000 for a homeowner to move and reinstall their home into another community. Minimal Ongoing Capital Expenditures: The value of roads, clubhouses and other common area improvements can be maintained with periodic capital expenditures averaging $125/site annually. Mobile home park investments tend to trade at a capitalization rates (net income divided by purchase price) anywhere from 1-3 percentage points higher than comparable quality multifamily assets. The combination of the higher going-in cap rates with comparable financing terms provide significantly stronger cash-on-cash yields than currently available in multifamily. For those investors that seek immediate cash flow returns, mobile home parks are likely to be an attractive option. 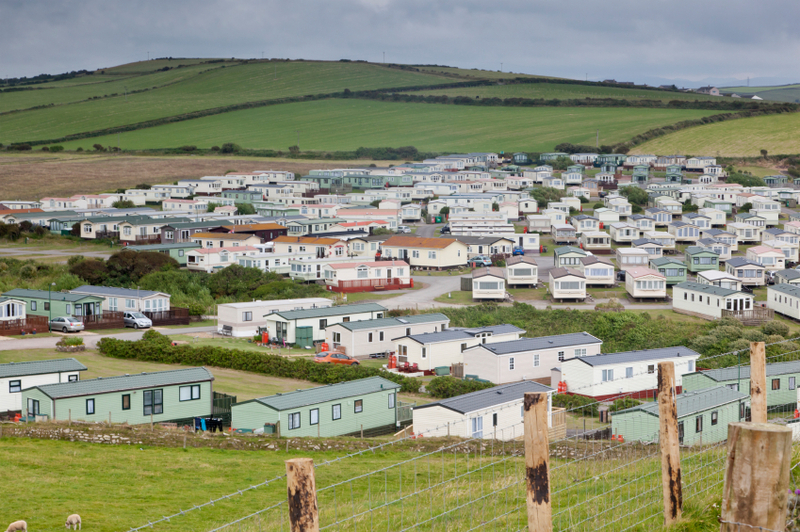 Demand for quality affordable housing often outstrips supply of mobile home park properties. Affordable housing is in high demand from young families, middle-aged people in transition, and seniors on a fixed income. Approximately 26% of American households earn $25,000 per year or less (1), which allows for roughly $500 per month in total housing costs. The average apartment rent is over $1,000 per month and is smaller than a typical mobile home. Our mobile home park investments offer tenants a superior combination of quality and price than comparably-priced site-built homes or apartments in that area and provide families with a sense of community. While demand for quality, affordable housing increases, the supply of mobile home parks is diminishing. It is estimated that approximately 1% of mobile home parks are redeveloped every year into higher and "better" uses. Furthermore, we do not expect any new mobile home park developments adding to supply as use restrictions and local economic environments have made it difficult to acquire appropriate zoning for new parks, thereby eliminating new competition for current mobile home park investments. We believe mobile home park investing offers outsized cash flow returns (relative to inherent investment risk). Experienced acquisition and knowledgeable mobile home park operators such as Park Street Partners, are uniquely positioned to capitalize on this misunderstood asset class. If you are interested in learning more about Park Street Partners and its investment strategies please email us or register with us to receive access to our investment opportunities. Source: U.S. Census Bureau. (2010). If the property every sold, the investor would be subject to 25% recapture taxes on the cash flow sheltered via depreciation. Nothing herein constitutes an offer or solicitation of securities for sale in the United States or any other jurisdiction where it is unlawful to do so. The Securities have not been, and will not be, registered under the Securities Act, or the securities laws of any State of the United States or other jurisdiction.